What Would You LoveToKnow About Chefs? Whether you're talking about chefs who are practically synonymous with gourmet food like Jacques Pépin, or newer celebrity chefs that are taking the gourmet food scene by storm like Giada de Laurentiis, you will be surprised at all you can learn about gourmet cooking by following your favorite gourmet chefs. Did you know that most chefs spend years training in the kitchen? 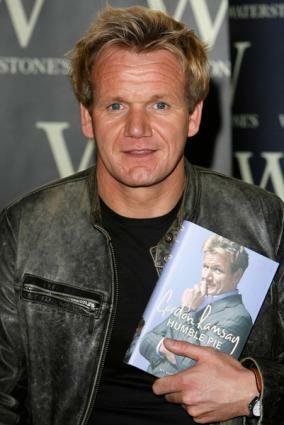 While schooling is important, many celebrity chefs (think Gordon Ramsay), got their culinary wings by being in the kitchen and working their way up the figurative foodie ladder. Famous chefs got to where they are today by mastering old techniques and learning new ones, creating signature dishes that wow crowds and critics alike. Of course it helps when they are good looking and can work a camera. From being in the kitchen, to writing cookbooks, to hosting television shows - most chefs do it all. No longer are good chefs simply relegated to the kitchen. Even some of the older brand of gourmets, who have been around for decades, hold posts at prestigious cooking schools like the Cordon Bleu School. Think you might like to become a chef? It will take hard work and dedication, not only to the craft of food, but also to the promotion of your own brand. You'll discover the stories, backgrounds and favorite cooking techniques of all the chefs you know and love. Make sure that you find time to try out some of their techniques yourself. After all, isn't imitation the highest form of compliment?